I created DO WOP CHRISTMAS Single Handed. Also sang, played, produced all cover versions of PHIL SPECTOR Christmas classics single handedly, SLADE, WIZZARD BEACH BOYS, Shakin Stevens John Lennon Paul McCartney Elton John BRENDA LEE ELVIS MUD DO WOP CHRISTMAS (own arrangement) DING DONG MERRILY (own arr) JINGLE BELLS (own arr) DECK THE HALLS (own arr) HAVE YOURSELF A MERRY LITTLE CHRISTMAS (own arr) BLUE CHRISTMAS SILENT NIGHT (own arr) also vocals to Dave Cass music tracks for CLIFF RICHARD JOHNY MATHIS QUEEN ALED JONES BING CROSBY GREG LAKE and others. Usually took me at least a 40 hour week to complete one whole cover version. IMAGINE PAYING A FOR A PRUDUCER, LEAD SINGER, BACKING VOCALS, ARRANGER, MUSICIANS, .THAT SOUND LIKE THE REAL THING TO BOOT THEN NOT GIVING THEM A MENTION. MY FEE WAS VERY CHEAP FOR DOING ALL THAT SINGLE HANDED. AFTER SIGNING A WRITERS CONTRACT I DID NOT EXPECT THAT I WOULD NOT GET A SINGLE CREDIT ANYWHERE ON THEIR TOP SELLING ALBUMS. MY “DO WOP XMAS” arrangements, VOCALS & INSTRUMENTATION CREDITED TO OTHERS WHO HAD NO PART IN IT WHATSOEVER. 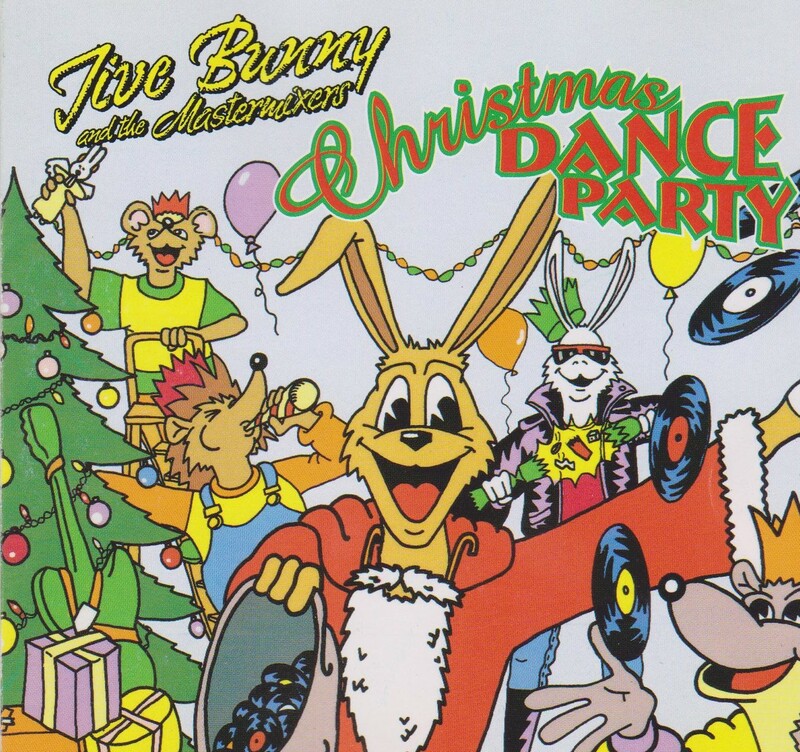 (Below) JIVE BUNNY CHRISTMAS SPECTACULAR An album totally My voices music and arrangements and production. Amusing to know the voices for girls are my speeded up voices. A one man show with Post production by Music Factory. Although I did everything on this album note for note except for the odd sax solo and the Jive Bunny drum beat. My name is not mentioned even in small print. People would assume there are several singers and muscians involved. A complimentary internet review unaware of My single handed productions. While I routinely present vinyl on 45 ‘s and LP’s, this holiday sampling of three tunes issued on compact disc in 2000 by an inventive musical team out of England gets an honorable mention. Much like the ‘Hooked On Classics’ and ‘Stars On 45’ concept 12″ dance LP’s of the early 1980’s, Jive Bunny & The Mastermixers output throughout the 1980’s and 1990’s followed the same formula. For this Christmas release, the production featured 32 holiday tracks with for the most part, convincing electronic ‘Wall Of Sound’ arrangements that showcased the talents of singers sounding similar to that of Phil Spector’s hit makers, The Ronettes, Darlene Love, The Crystals, Bob B. Soxx & The Blue Jeans, Tina Turner and The Righteous Brothers. This trio of Christmas tunes includes: ‘Have Yourself A Merry Little Christmas’ (This long version was taken from Jive Bunny’s ‘CHRISTMAS PARTY’ album. 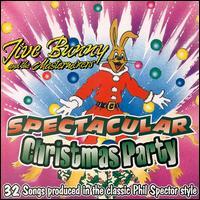 An edited 1:37 version appeared on ‘SPECTACULAR CHRISTMAS PARTY’), ‘Blue Christmas’ and ‘Do They Know It’s Christmas’. I suppose ‘Have Yourself A Merry Little Christmas’ and ‘Do They Know It’s Christmas’ are fashioned in the style of Darlene Love while ‘Blue Christmas’ sounds like the vocals of The Ronettes. It’s the same singer so you be the judge.